Huawei is the world’s largest telecoms equipment provider and also the second largest mobile phone manufacturer. The founder Ren Zhengfei is a former military officer and Meng Wanzhou is his daughter. Huawei is one of the pillars in China’s ambition to be an independent technology powerhouse. The arrest happened on December 1, the same day that President Xi and Trump had the dinner meeting in Buenos Aires. China has poured hundreds of billions to push its “Made in China 2025” plan. The plan aims to make China a global leader in technology industry such as robotics, electric cars, and computer chips. Huawei plays a major role in this plan as it is the state champion for 5G wireless technology. President Xi has said that he wants China to dominate the 5G market globally. A lot of people think that 5G will be the next wave of technology like the Internet or smartphone. The U.S. however has made it clear it wants to push back against China’s growing tech power to maintain dominance. China’s tech ambitions have long concerned the U.S as the American government believes China relies on American technology misappropriation to achieve their goals. This is the primary reason for the current trade conflicts as the White House demands China to stop forcing foreign companies to hand over tech secrets as a condition for market access. The U.S. has imposed billions of dollars of tariffs to encourage China to change their behavior. On Saturday, China said that Meng’s arrest “severely violated the Chinese citizen’s legal and legitimate rights and interests, it’s lawless, reasonless and ruthless, and it is extremely vicious.” This arrest can have serious consequences depending on how it plays out down the line. The trade war for the past few years has forced China to accelerate their efforts to be self sufficient and cut reliance on foreign suppliers. After the news of the arrest came out, market has reacted negatively on the assumption that it can derail trade war truce last weekend. This can also potentially marks the opening of a new chapter of deepening rift between the U.S. and China. 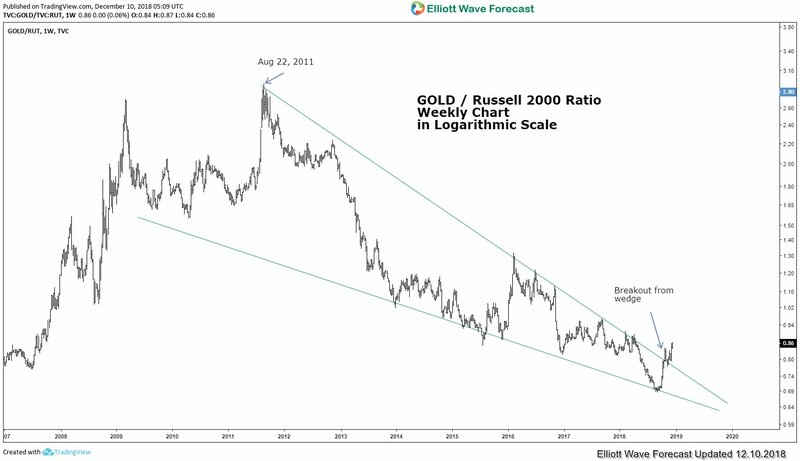 A Gold to Russell Ratio analysis above shows a break above the weekly wedge. It is an early indication that the cycle from 2011 peak may have ended although we need more separation from the low. The implication is clear here and Gold can start outperform Russell in the next few months / years. If cycle from Aug 22, 2011 high has ended, the ratio can at least rally higher to correct the entire decline from 2011 high (a 7 year decline) in a larger 3-7-11 swing. An analysis of Gold to Nasdaq Ratio above also suggests that the ratio breaks above the weekly wedge. This suggests cycle from Aug 22, 2011 may have ended. Again, we need more separation from the low to confirm this. If that’s the case, then we can potentially expect Gold to outperform Nasdaq in the next few months / years. The ratio should also at least correct the entire decline from 2011 peak in larger 3-7-11 swing. Cycle from 9.4.2008 high in Russell shows an incomplete 5 swing sequence, favoring further downside to end 7 swing. Please note that this is a swing count, not an Elliott Wave label. 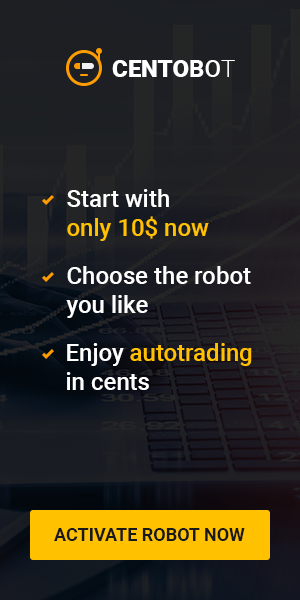 A 7 swing is a double three Elliott Wave structure (WXY). The Index can see some support at 1367 – 1410 and end swing #5. 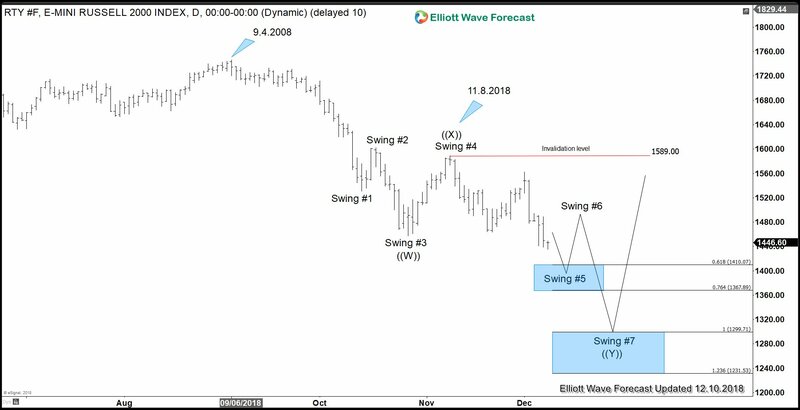 Afterwards, it should bounce in swing #6 in 3-7-11 swing to correct cycle from 11.8.2018 high (1589) before the decline resumes. This analysis suggests that Russell should see further downside in coming sessions. Next Next post: CADJPY : Will Sellers Take Control?